Anti-static brushes are made from low charging materials, often natural bristle materials, that do not give or take electrons. This means they are essentially electrically neutral. Anti-static brushes are often used in the electronics industry and in the manufacturing of electrostatic charge sensitive products. 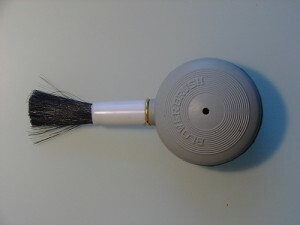 Gordon Brush manufactures both standard and custom anti-static brushes for the industrial industry. Anti-Static brushes are also known variously as electro static discharge bushes, static eliminators, and (oddly) static brushes. Anti-static brushes are used throughout a variety of industrial and commercial applications where there is a need to reduce particle contamination from static charge. Anti-static brushes will commonly be found in simple office printers, copiers, large-sized plotters, stretch wrappers, conveyors and any kind of high speed paper application. While many anti-static brushes are manufactured from natural material, some anti-static brushes are also created from artificial materials. Different kinds of anti-static brushes are appropriate for different applications, and special requirements will need to be met for anti-static brushes to be used in hazardous location (requiring anti-static brushes which have no chance to cause sparks). While some anti-static brushes can be purchased off the shelf for very common product types, such as desktop printers, the majority of anti-static brushes must be custom made to fit the exact size and application specifications of the manufacturer. 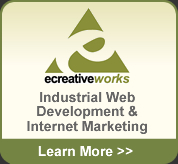 Most anti-static brushes manufacturers work with customers to develop custom anti-static brush solutions.